SmartQuant QuantRouter is a standalone server side .NET application designed to serve clients demanding market data feeds replication, consolidation, aggregation, transformation and smart order routing. QuantRouter offers a possibility to work with multiple market data feeds and brokers within a single OpenQuant application. QuantRouter also offers a possibility to connect several OpenQuant applications to the same market data feed or execution account. OpenQuant users can set up QuantRouter as a middleware to connect 64 bit version of OpenQuant with brokers supporting 32 bit API only. Download 30 day evaluation version of QuantRouter. Please note that video tutorials demonstrate basic QuantRouter functionalities and have no sound. 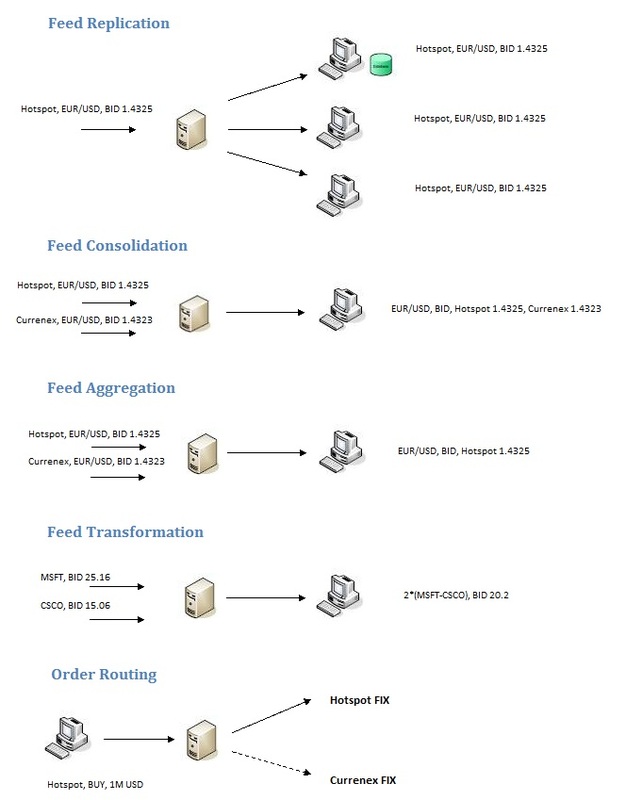 Video 1 - This video demonstrates how to replicate, consolidate and aggregate Currenex and Hotspot FX price feeds. Video 2 - This video demonstrates how to connect two remote clients (OpenQuant and QuantBase) to Currenex and Hotspot FX price feeds.